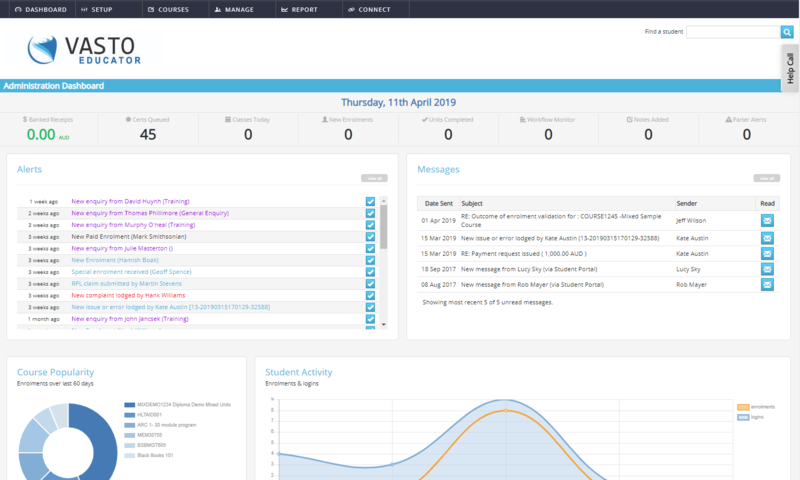 Your Vasto Administration dashboard is a simple visual display highlighting what’s important & what’s urgent Fast drill-down functionality means you can act quickly on activities in real time as notifications appear. 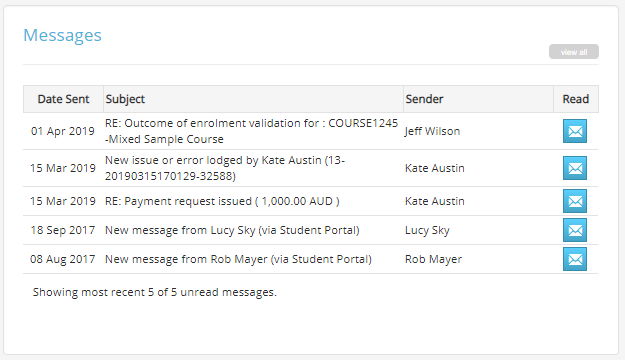 Vasto’s closed loop communication structure means you’ll message Trainers, Assessors, other administrators and students directly, with communication alerts on youe dashboard. 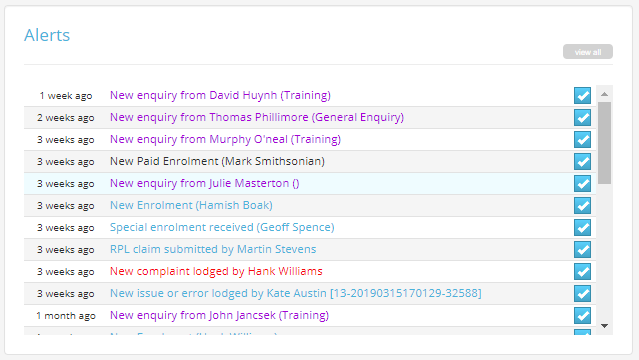 Avoid third party email communicationa and keep a record of all communications centrally.